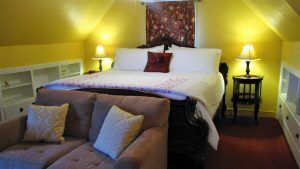 Decorated in rich burgundies and gold, the Wedgwood Suite offers a uniquely charming room with its dual level flooring. 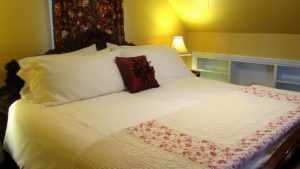 A large king bed awaits you for a comfy night’s sleep. 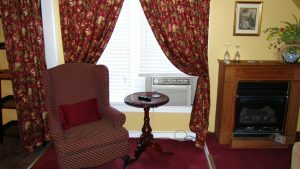 Warm your toes at the fireplace, unwind on the comfy love seat or curl up in the arm chair and read a good book. 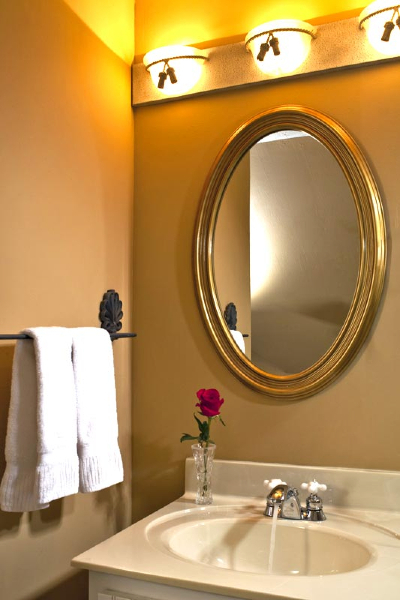 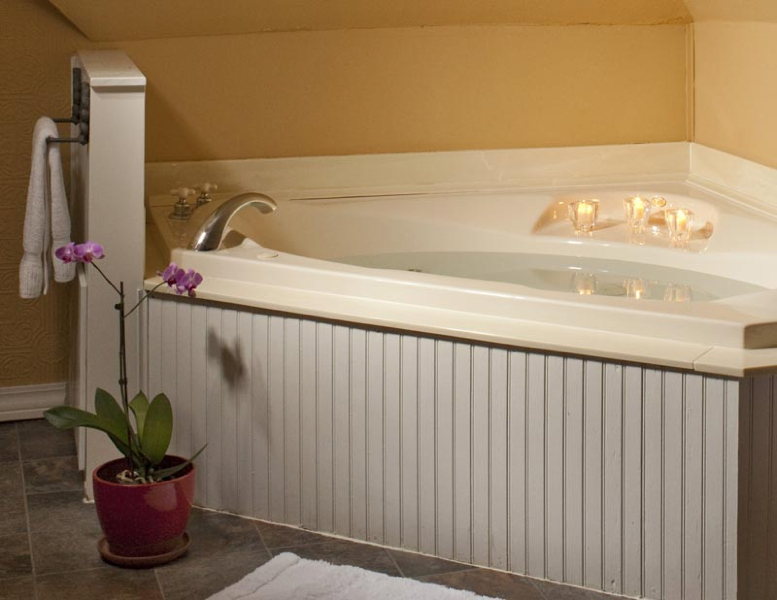 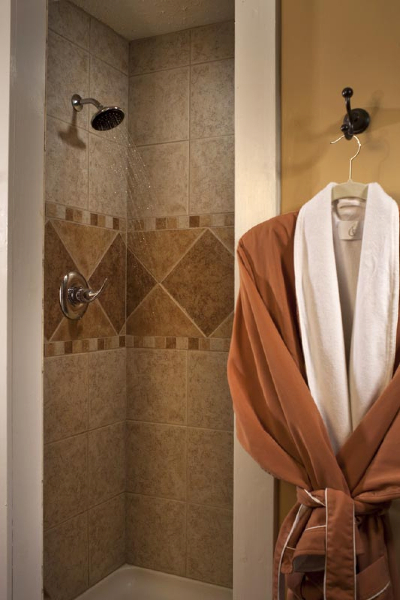 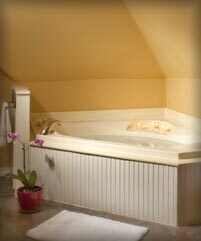 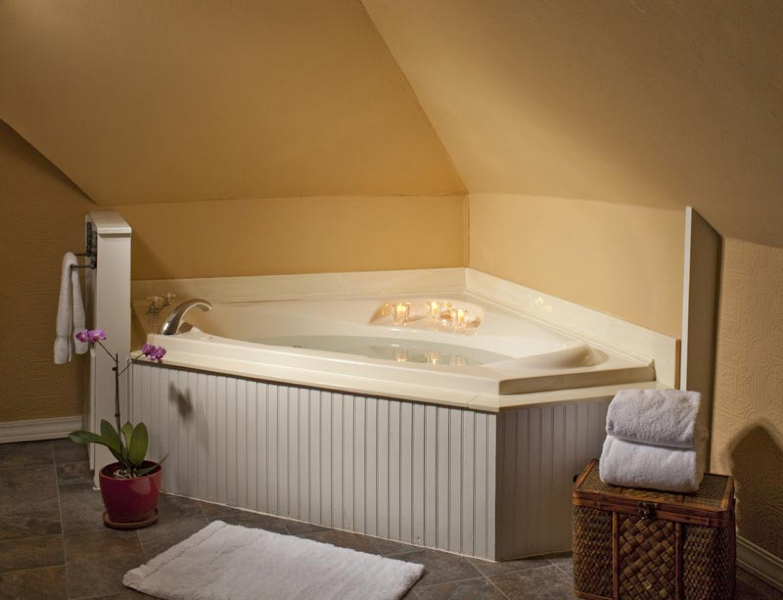 You enter the bath area through a draped archway where you can take a refreshing shower in the separate walk-in shower or revitalize in the two-person corner jacuzzi.